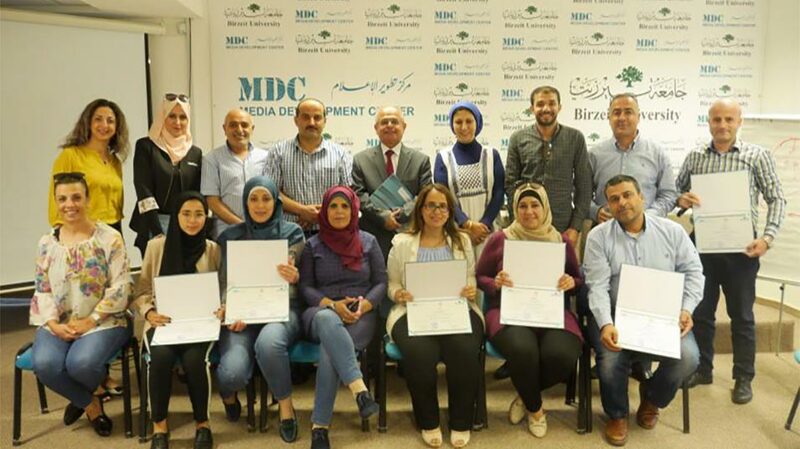 The Media Development Center at Birzeit University recently concluded two three-day training courses entitled “Investigative Journalism” and “Media Spokesperson” at its headquarters on Birzeit University’s campus. 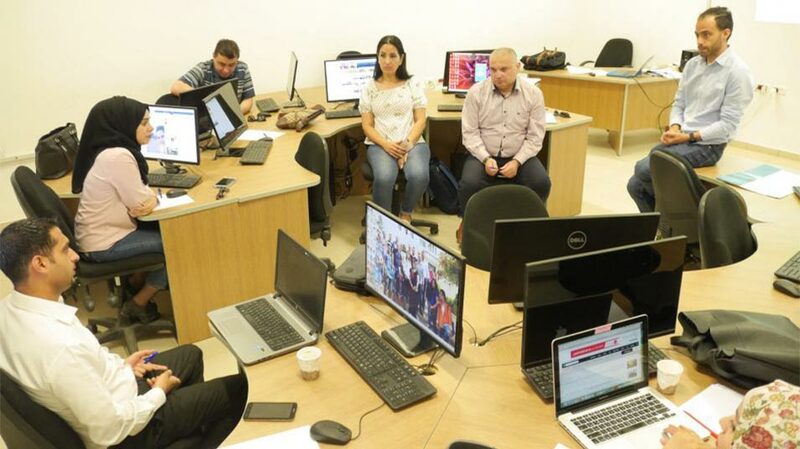 The course, led by Ramsey Tesdell, founder of 7iber.com, a website dedicated to citizen journalism in Jordan, is part of a project organized in partnership with The Danish House in Palestine and International Media Support (IMS). The project develops the capacities of Palestinian journalists in investigative journalism methodology and analytical story publishing by organizing three specialized training courses – of which this course is the third and final – on investigative journalism. Ten Ministry of Social Development employees took part in the three-day, 18-hour “Media Spokesperson” training course. Participants engaged in exercises and activities that centered on radio interviews, proper news-writing techniques and methods, videography, and gender-representation. Ruba Kaileh, the training course coordinator at the Media Development Center, said that “Media Spokesperson” is the result of a memorandum of understanding signed between Birzeit University and the Ministry of Social Development to offer the center’s services to ministry staff and provide support in establishing an effective communications strategy. This is the first of two courses, funded by Swedish International Development Cooperation Agency, that the center will hold for employees and staff of the Ministry of Social Development, with the second course to be held at a later date.